Last month, an informal coalition known as Clean Energy Nebraska, which includes Nebraska Wildlife Federation, officially released a state clean energy plan – the Husker Power Plan. The plan is so named as it calls for using in-state resources including higher levels of wind, solar, and energy efficiency than are currently planned. Duane Hovorka, former Executive Director of Nebraska Wildlife Federation, was the main writer of the plan. Other contributors included Janece Molhoff of the League of Women Voters, former Lincoln Electric System board chair Marilyn McNabb and Nebraska Farmers Union President John Hansen. “Overall, this is a plan for moving Nebraska further down the path to a clean energy future. It’s affordable, doable and continuing the progress that our public power utilities are currently making, ” Hovorka said. The Husker Power Plan has been analyzed by energy consultants Anna Sommer, Tyler Comings and Elizabeth Stanton who found that the plan will reduce carbon pollution by 58% over five years compared to business as usual. The Husker Power Plan has been endorsed by eleven organizations so far, including Nebraskans for Solar, collectively representing over 10,000 individuals. The Husker Power Plan, the consultants’ report, and information about endorsing it can be found at huskerpowerplan.org. This entry was posted in Community Partners, Nebraska / Midwest News and tagged Clean Energy Nebraska, Duane Hovorka, Husker Power Plan, Husker Power Plan.Org, Janece Molhoff, John Hansen, Marilyn McNabb, Matt Gregory, Nebraska Wildlife Federation, Nebraskans for Solar NewsBlog, wind and solar development in Nebraska on February 20, 2018 by Helen Deffenbacher. 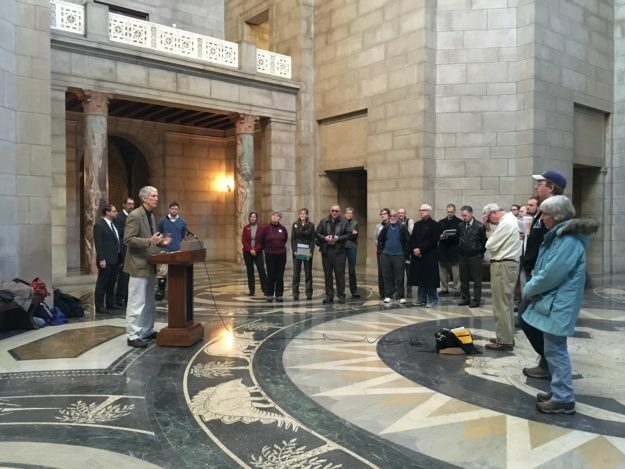 A clean energy coalition urged Nebraska on Wednesday to focus more on development of wind and solar power sources along with energy efficiency to help build a more environmentally friendly and healthier future. The coalition’s Husker Power Plan would “ramp up Nebraska’s investment in energy-efficiency measures like weatherizing homes and businesses, replacing outdated lighting systems and motors and reducing wasteful use of energy,” said Duane Hovorka, former executive director of the Nebraska Wildlife Federation. Continue reading here. The Husker Power Plan calls for doubling the state’s use of wind power over the next five years and adding 129 megawatts of community solar energy projects. The plan, done by the consultant Sommer Energy, also recommends aggressive work to reduce electric consumption by 2 percent a year. This entry was posted in Community Partners, Community-Scale Solar, Nebraska / Midwest News and tagged clean energy jobs, Duane Hovorka, energy conservation, Husker Power Plan, Nebraska Wildlife Federation, wind and solar energy development in Nebraska on January 17, 2018 by Helen Deffenbacher. This entry was posted in Community Partners, Nebraska / Midwest News and tagged economic benefits of climate action, Grand Island Rotary Club, Matthew Gregory, Nebraska Wildlife Federation, Nebraska wind and solar development, Nebraska wind and solar potential, The Grand Island Independent, The Husker Power Plan on October 11, 2017 by Helen Deffenbacher. Nebraska Public Power District has been working more than a year with the city to develop its third Sun Wise community solar project in the state. They will be also working to market 7,099 community solar shares. Read more or watch the newscast here. The panelists included: Dave Richardson, Kearney Clean Energy Group; Graham Christensen, GC Revolt; John Crabtree, Nebraska Sierra Club; Cliff Mesner, Mesner Solar Development. This entry was posted in Community-Scale Solar, Nebraska / Midwest News, NewsBlog and tagged City of Kearney, Nebraska Public Power District (NPPD), Nebraska TV (NTV), Nebraska Wildlife Federation, Nebraskans for Solar, NPPD's SunWise Program on August 31, 2017 by Helen Deffenbacher. The 11 a.m. ribbon cutting will be followed by tours through 8 p.m. [New facilities in Kearney] include structures and installations such as the Health Science Education Complex at UNK, the 400,000-square-foot distribution center at Baldwin Filters, and SoCore’s 53-acre solar array that will be Nebraska’s largest when it goes online in January. Read more here. 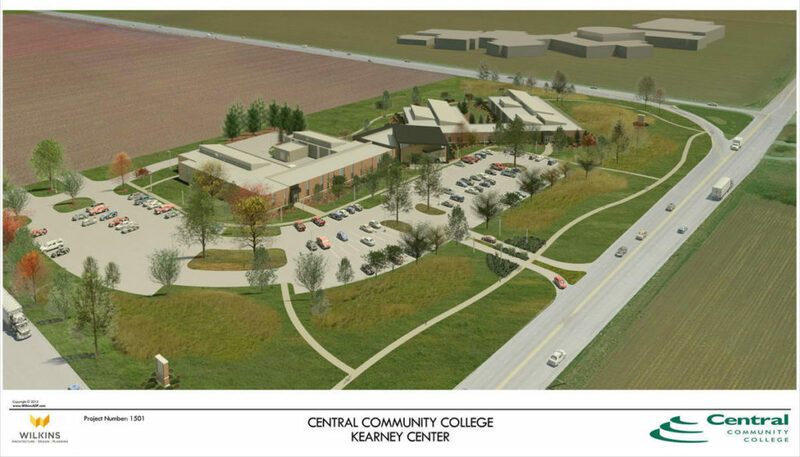 This entry was posted in Green Campuses, Nebraska / Midwest News, NewsBlog, Solar Energy Education and tagged Central Community College's Kearney Center, City of Kearney, Kearney Hub, Nebraska Wildlife Federation, Nebraskans for Solar, SoCore's 53-acre solar project, Solar Energy Community Forum on August 13, 2017 by Helen Deffenbacher. The Nebraska Wildlife Federation is a leader in advocating for renewable energy development in our state. 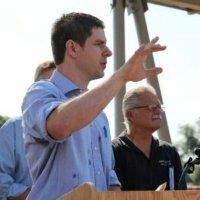 Today Executive Director, Duane Hovorka sent Nebraskans for Solar the following message about the next OPPD Board of Directors meeting this Thursday, August 11th at 7 p.m., Bellevue University, John B. Muller Administrative Services Building, Symposium Room, 1000 Galvin Road South, Bellevue Nebraska. We encourage you to attend and voice your support for OPPD moving ahead quickly to add wind, solar, energy efficiency and other clean energy sources to its mix. In the wake of OPPD’s announcement earlier this summer that it is closing the Fort Calhoun Nuclear power plant, OPPD management said they would look at options for replacing the energy and capacity that will be lost. OPPD also put out a ‘request for proposals’ for up to 400 MW of wind, and up to 100 MW of solar. Ask OPPD to ‘go slow’ on adding any new natural gas capacity, since rapid advances in battery and other energy storage technologies may make it unnecessary to build expensive new natural gas power plants. Nebraska Wildlife Federation’s assessment of the impacts of the closure of Fort Calhoun noted that, if OPPD does not add wind, solar, efficiency and other clean energy sources, the net result would be a large increase in carbon and other pollutants if OPPD relies on other power plants in the region to make up the difference. See our analysis on our website here. We hope to see you Thursday night in Bellevue!! This entry was posted in Nebraska / Midwest News, NewsBlog and tagged Duane Hovorka - Executive Director of the Nebraska Wildlife Federation, Nebraska Wildlife Federation, OPPD Board of Directors' Monthly Meeting, renewable energy development in Nebraska on August 8, 2016 by Helen Deffenbacher. “There is a large and united coalition growing in Nebraska. It started with the pipeline and it is moving into clean energy,” said Graham Christensen, Director of the Nebraska Farmers Union, and member of a new coalition called Clean Energy Nebraska. “There are a lot of people working hand in hand. There is no going backward,” he said. The Farmer’s Union, the Nebraska Wildlife Federation, The Nebraska Sierra Club and The Center for Rural Affairs are members. Each organization appeals to a different audience. Continue reading. This entry was posted in Nebraska / Midwest News, NewsBlog and tagged Center for Rural Affairs, clean energy advocacy groups in Nebraska, Clean Energy Nebraska, Nebraska Farmers Union, Nebraska Sierra Club, Nebraska Wildlife Federation, The Reader on June 11, 2016 by Helen Deffenbacher. Lincoln Electric System was named the Nebraska Wildlife Federation Conservationist of the Year last Tuesday for its leadership in adopting clean energy solutions like energy efficiency, wind and solar. In 2011 LES was getting just 8% of its electricity from renewable energy. Since then, investments in energy efficiency and landfill biogas and contracts to obtain wind energy and build the largest solar farm in the region will take Lincoln Electric System to 48% renewable energy by 2016. LES officials say the new wind and solar contracts finalized last December will save its customers over $429 million over the life of the contracts. Dr. Don Wilhite was awarded the Federation’s Conservation Educator award for his work on the University of Nebraska’s 2014 report on the implications of climate change for Nebraska, and his work since then to educate policy-makers, industry leaders and the public about climate change. This entry was posted in Nebraska / Midwest News, NewsBlog and tagged Clean Energy Nebraska.Org, conservation in Nebraska, Dr. Donald Wilhite, Lincoln Electric System (LES), Nebraska Wildlife Federation on November 3, 2015 by Helen Deffenbacher. Director for the Nebraska Wildlife Federation and Co-Director of Clean Energy Nebraska, for his well-presented and well-received public forum on May 14th at the Community Engagement Center on the topic of “Renewable Energy Development in Nebraska.” His discussion generated numerous questions from the audience. We appreciate your leadership and your outstanding work, John, in renewable energy advocacy and education. 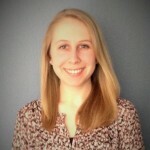 Thank you and congratulations to Creighton University graduate Erin Cheese, who served on Nebraskans for Solar’s Board of Directors for one-and-a-half years. At Creighton she was a double major in Energy Science and Applied Physical Analysis, working on material science research in the physics department. Collaborating with other Creighton students, she co-founded the Creighton Energy Science Club, with the objective of developing campus and community outreach projects with Nebraskans for Solar and other organizations. 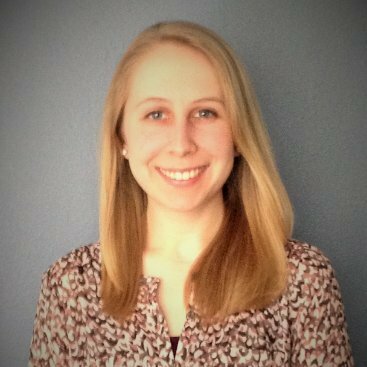 Erin was recently accepted as a Junior Fellow with the U.S. Department of Energy’s SunShot Fellowship Program in Washington, D.C. We will miss her, and we wish her all the best. 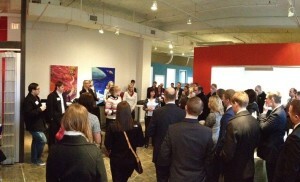 during Omaha Gives! Your donations will have a “double impact,” as an anonymous donor has matched each gift. Nebraskans for Solar is a completely volunteer organization, so 100% of all gifts will be put to work on our community outreach projects. Robby Bearman, Senior Operations Manager for Uber, the ride-sharing service that has been gaining traction over the past few years. Scott Benson: Manager, Resource & Transmission Planning, Lincoln Electric System. Jon Dixon is a mentor of UNL Engineers Without Borders: World Energy Project, and he is a board member of Nebraskans for Solar. Jamie Burmeister is the artist behind that LUV U LUV: Message Matters exhibition where he signaled a message in morse code with lights over the Haymarket. His small, life-like figures are currently in every nook and cranny at FUSE. As always, there will be plenty of networking, cold beer, and fancy wine! See you there! FUSE Coworking is located at 800 P Street in Lincoln, on the 3rd Floor above the Dock – the loading area on the West side of The Mill Coffee Shop. Finally, thank you everyone for all you are doing to advance solar energy in our state! This entry was posted in Community Partners, Nebraska / Midwest News, NewsBlog and tagged Clean Energy Nebraska, Creighton University, Erin Cheese, Fuse Coworking, Jamie Burmeister, John Atkeison, Jon Dixon, Lincoln Electric System, Nebraska Wildlife Federation, Nebraskans for Solar, Omaha Gives, Robbie Bearman, Scott Benson, Solar Energy Industries Association (SEIA), U.S. Department of Energy's SunShot Initiative, Uber on May 22, 2015 by Helen Deffenbacher.